Video doorbells have been all the rage in the US for some time. Now they’re taking off in the UK. 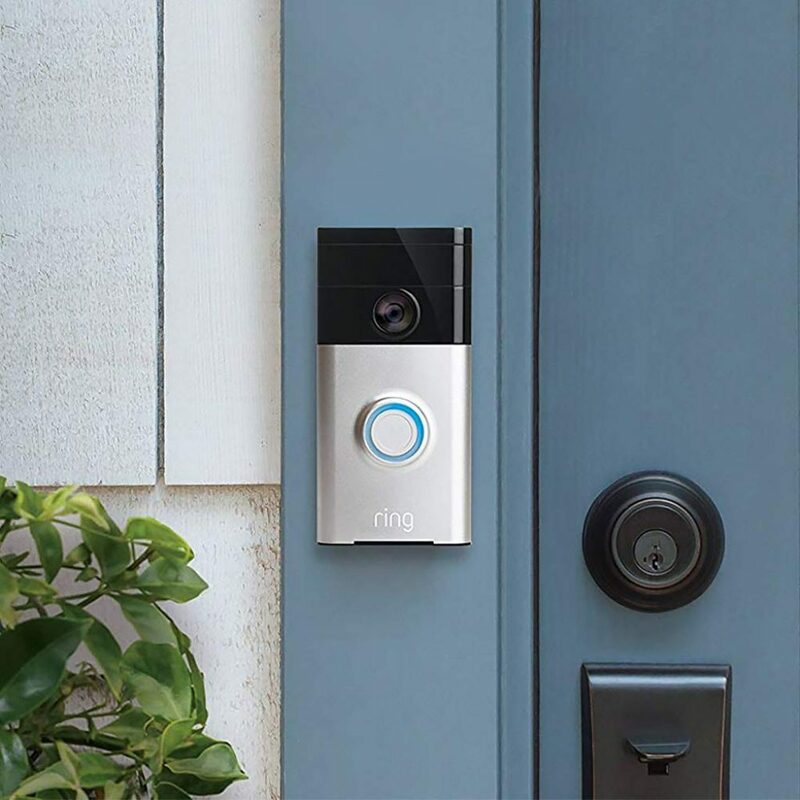 Known as smart doorbells, they connect to your smartphone allowing you to see who is at your door. With most model’s live video feed, you also have an option for two way audio. So it’s a case of you can see and hear them, but they can only communicate with you if you enable that option. First and foremost this is an excellent security measure – anyone with ill-intent will spot the camera and you’ll have a video of them, even if they run. It also means that if you aren’t home, you can interact with anyone who paying a visit, or delivering something. 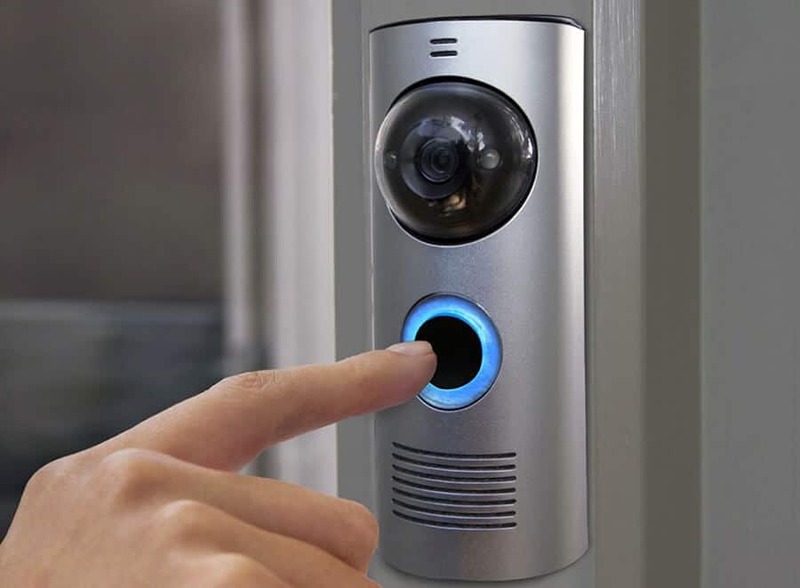 Many models offer integrated smart locks, allowing you to let the caller in when they arrive remotely, via your smartphone, and the newer models have access to Cloud storage in order to store, and replay, recorded videos. Getting their power from a rechargeable battery means you only require a reliable WiFi signal, instead of wiring the doorbell in. Wired doorbells require connecting to your electricity supply, and may need a professional to do the installing. We’ve put some of this year’s best-sellers through their paces. 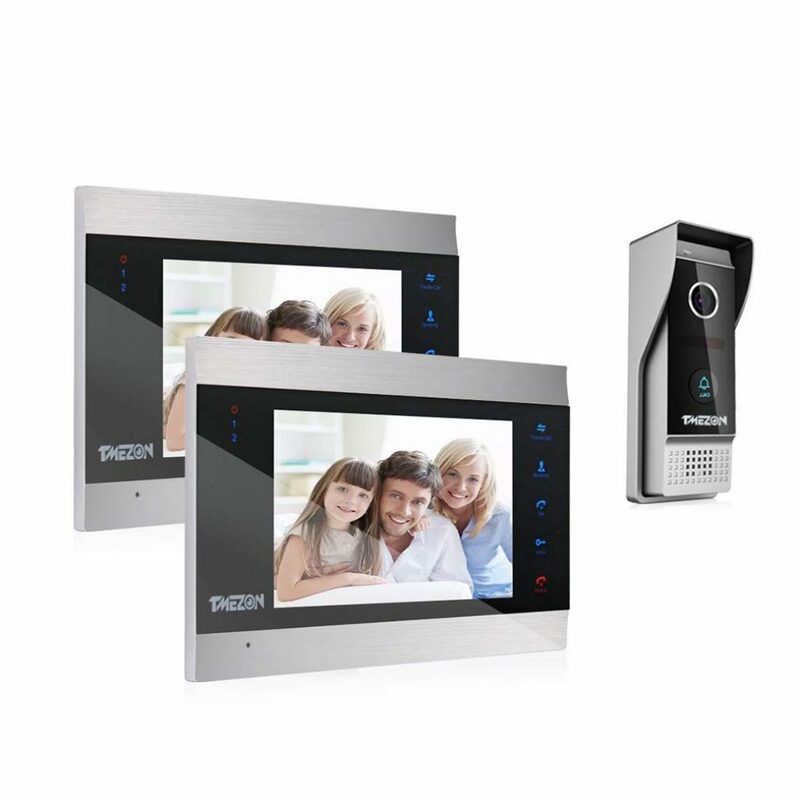 Here we present the Top 3 video doorbells that made the cut. TMEZON have designed a smart looking smart doorbell. Glossy silver and black, it comes with its own sturdy metal housing. The installation instructions includes nice, clear diagrams, but the wireless fitting is a a two minute task. 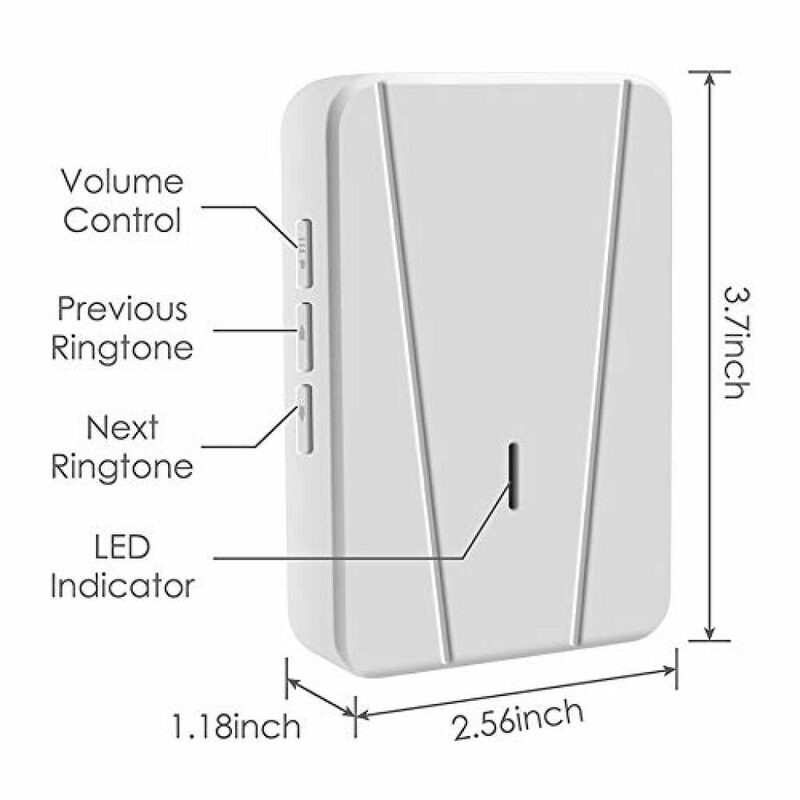 This reasonably priced doorbell has several really innovative ideas, such as a time-set volume control so that you can set it low if children are sleeping, and an angled plate for easy fitting at the side of a door frame, if necessary. 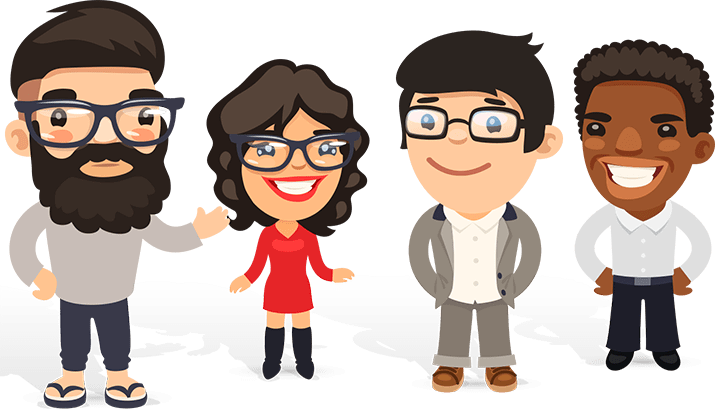 The video replay is smooth and very clear – facial features are easily recognisable, while the night vision function is usably bright, and the audio recording facility works well. The included monitor cable is a little short, but this is easily rectified. 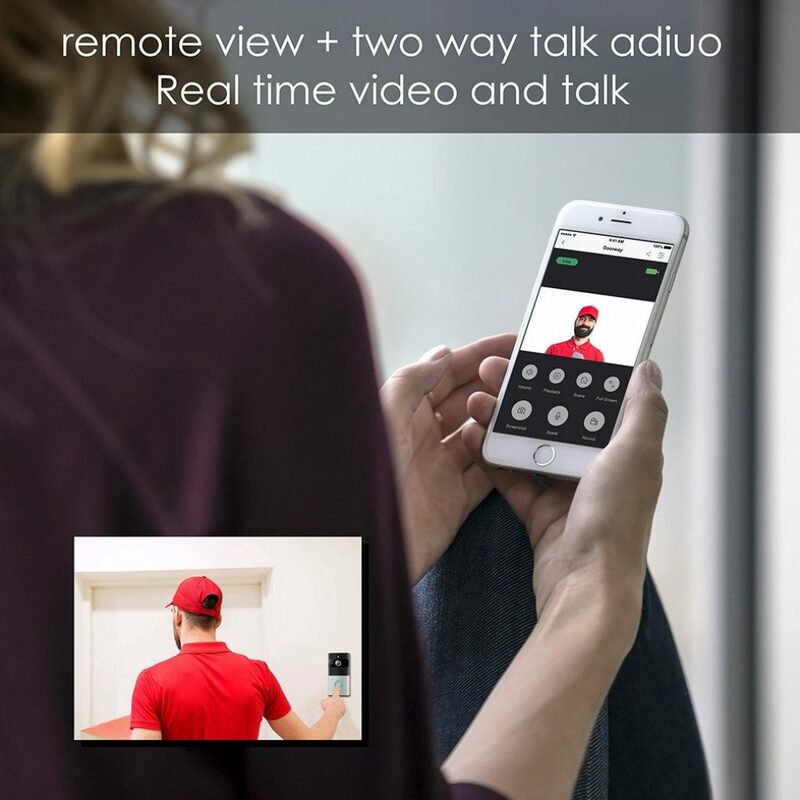 If you’re looking for a sensibly priced smart doorbell, Tmezon have come up with a winner here. 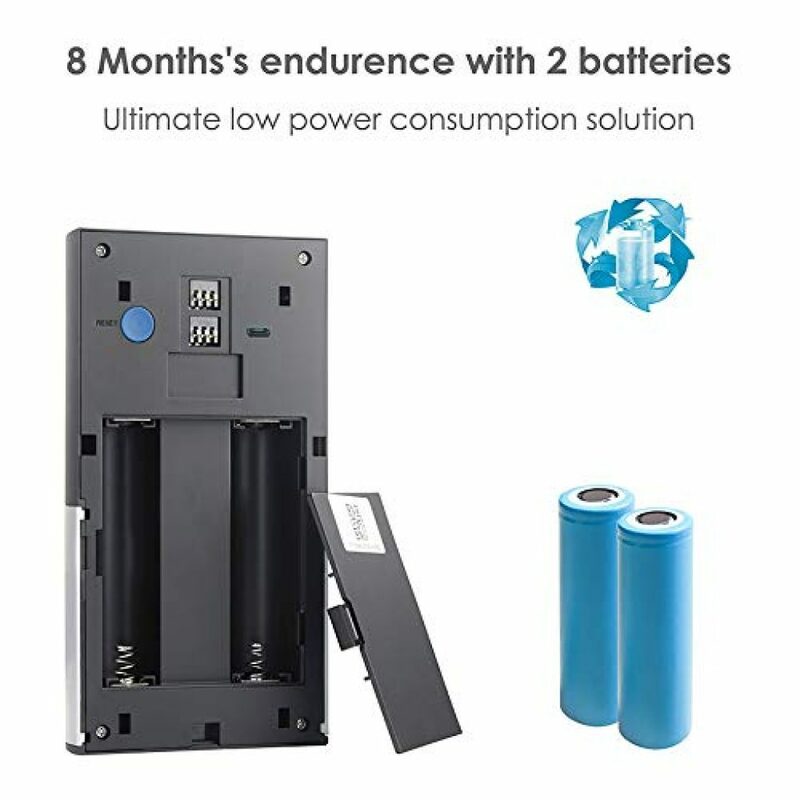 The video and audio are of impressive quality, the fitting is simple - just plug and play, and the WiFi connection is stable. All in all, a great investment in your security arsenal. This sleek and stylish doorbell looks great, and has several fascia options. It feels well made, and comes with simple-to-follow instructions. 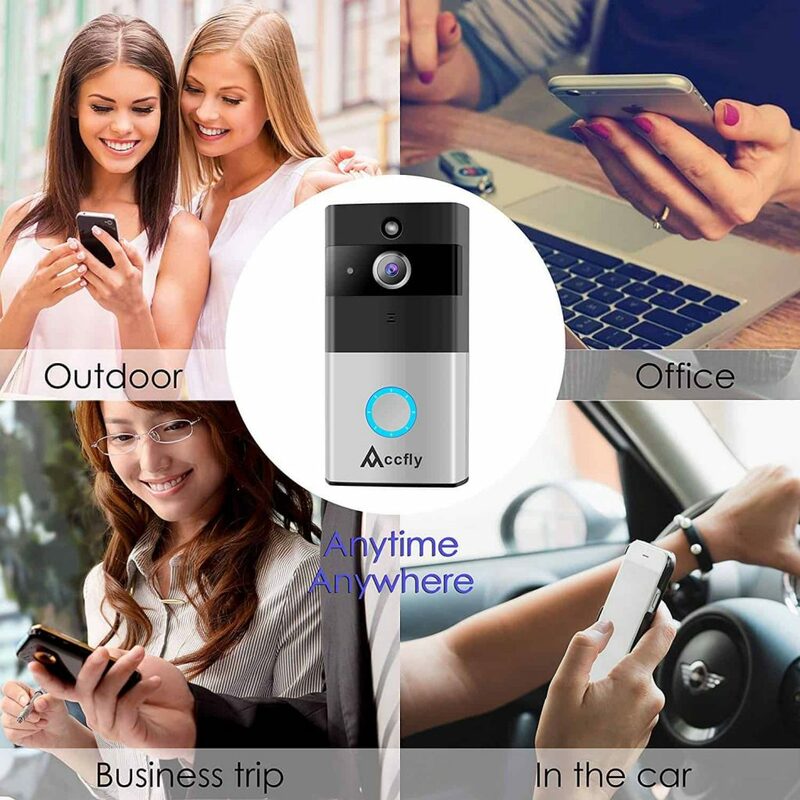 Ring operates on a simple concept – once your bell is pushed, the signal whizzes through your WiFi, up to Ring’s Cloud servers, and then back to your phone, all taking place in an instant. We managed to complete the installation without too much shouting or frustration, and it quickly established a stable connection to our smartphones. The video is great quality, very clear and easy to make out who’s on your doorstep, and the dual way audio works brilliantly. The user interface is nicely intuitive, too. 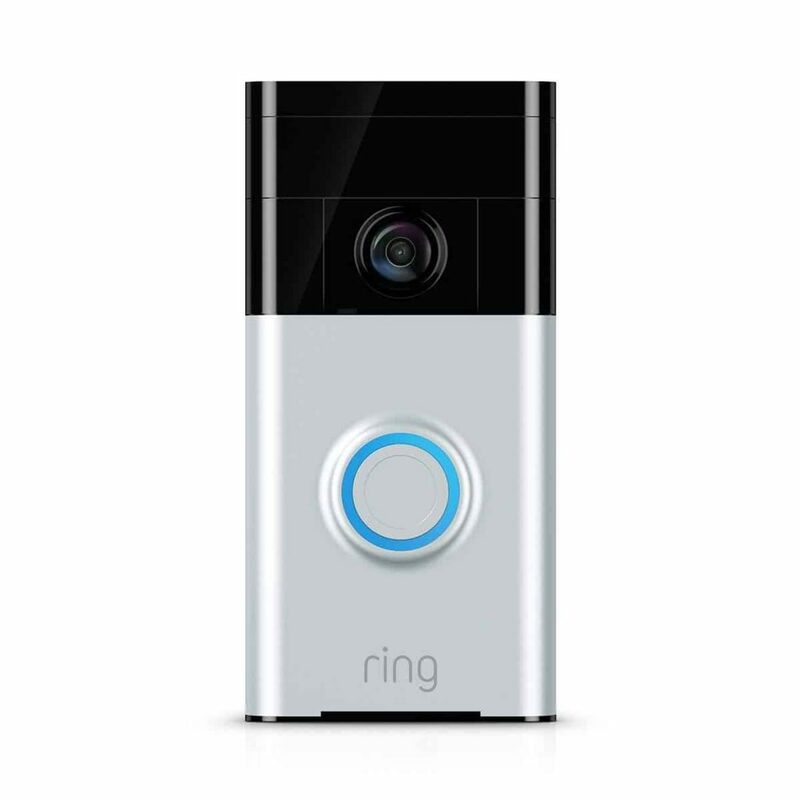 Loving the fact that Ring will replace stolen doorbells free of charge, as long as you provide a police report. For some door frames this Ring could be a little large, so make sure you check the dimensions. 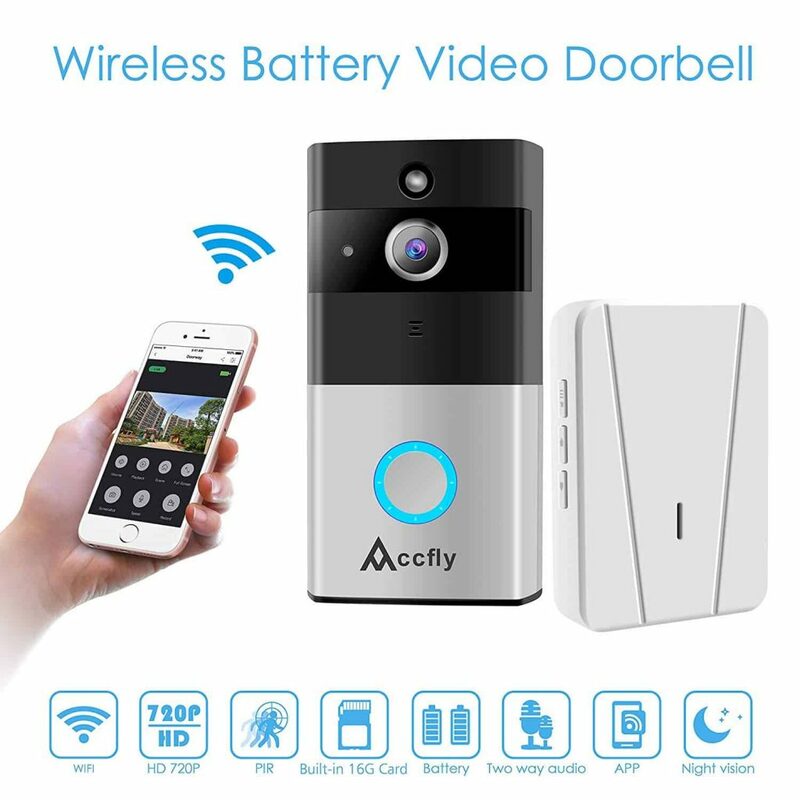 With an adjustable motion detector, decent night vision and a long lasting battery Ring Video Doorbell seems to be a great addition to home security. Happy to recommend. This has the appearance of a sci-fi gadget – cool, stylish and with little similarity to a doorbell. 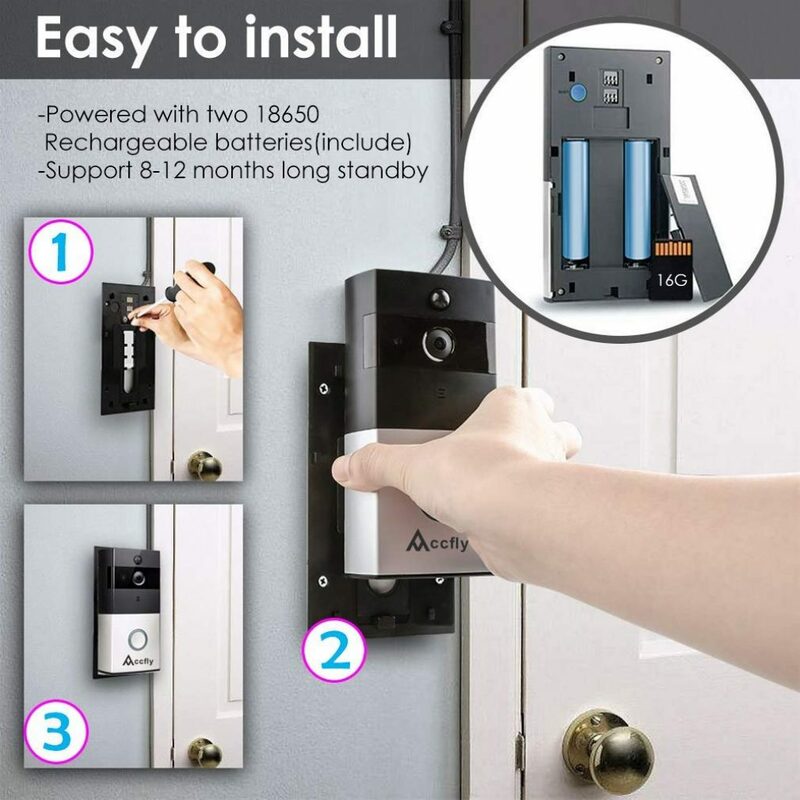 It’s really well made, innovatively designed, and, impressively, came with absolutely everything required to install it. The set-up was incredibly simple; we didn’t even need the instructions, but they are clear and concise anyway. The video quality is clear and sharp, with a nice wide angle and brilliant night vision. 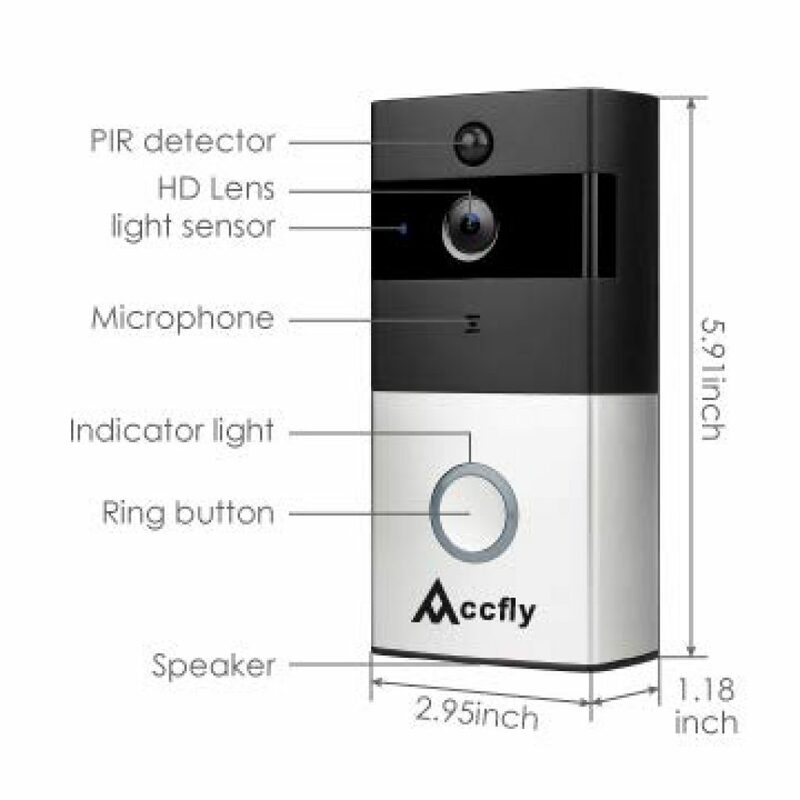 With enough alarm tunes for almost every day of the year, a loud maximum volume, night vision, motion detection, and a high quality camera, the Accfly caters for everyone, including the visually impaired and hard-of-hearing. We couldn’t settle on only one alarm, with so many to choose from! The Accfly doorbell does it all. Every feature works efficiently, and for the peace of mind it brings, the low price band is surprising. 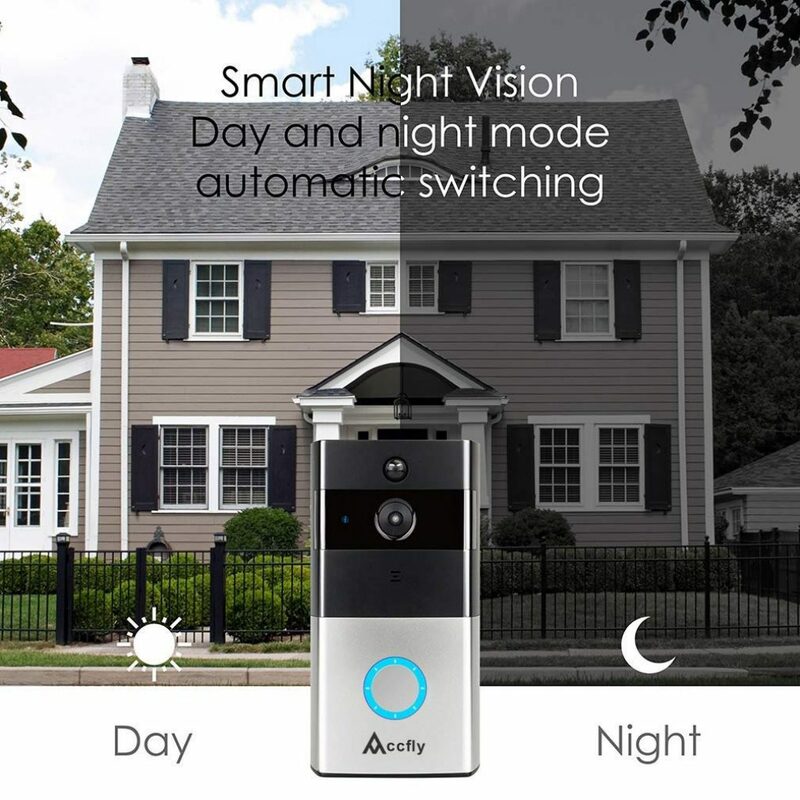 ✿【IR Night Vision&Smart motion detection】:Million HD pixels collocated with wide-angles lens.Which allows you to see clearly in a dark environment at a distance. 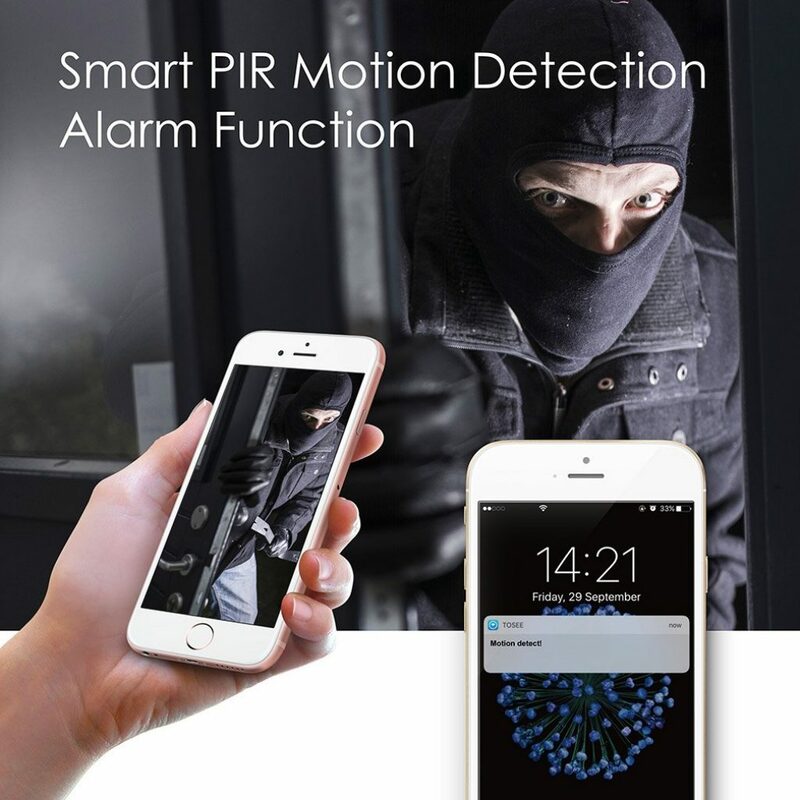 It provides the protection you need at night and acts as a deterrent against to crimes such as theft and vandalism.Support PIR motion detection,when someone hovers at the door,immediately alerts push notifications to the mobile phone.